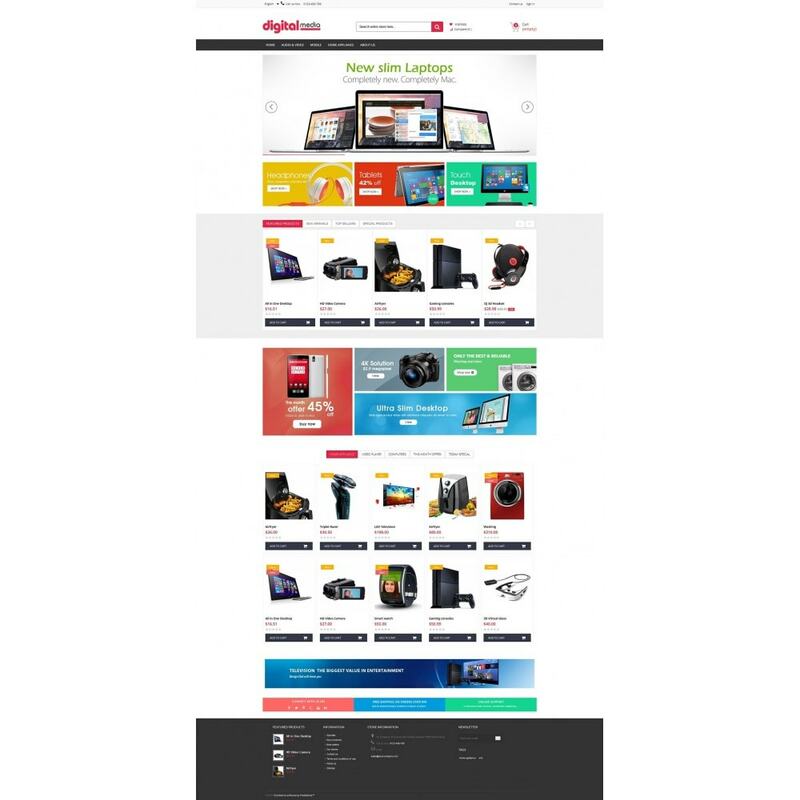 Digitalmedia Theme is an ecommerce responsive theme with clean design and professional look. This theme is can easily fit to all the products (Fashion, Furniture, Jewelry, Electronics and much more). It’s a great solution for Multi businesses. 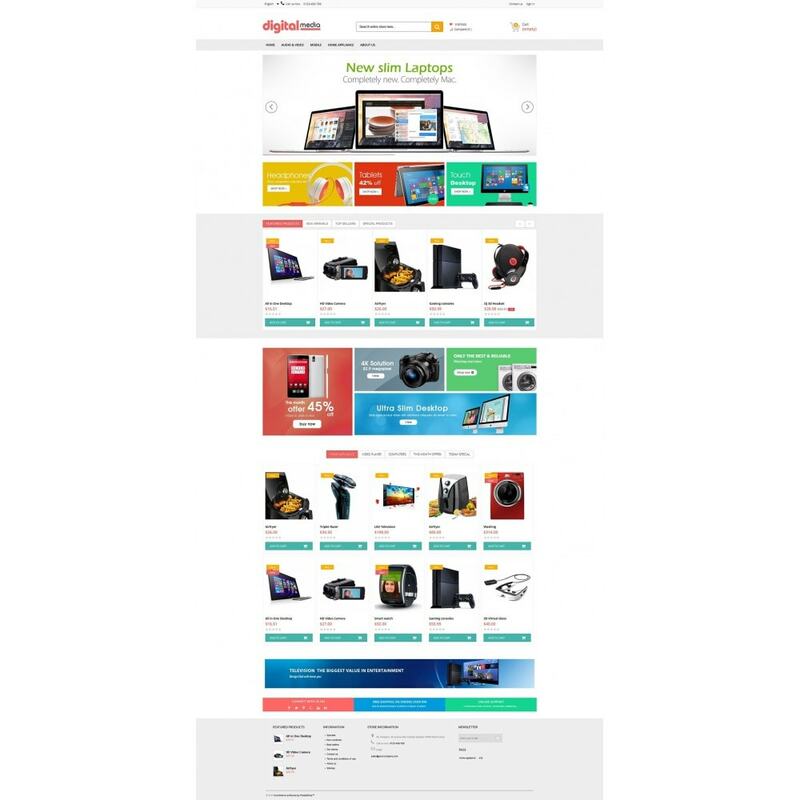 Digitalmedia Theme comes with Unlimited Theme configurator and advanced modules on home page with all product thumbnail will display when you mouse over the product and also comes with scroll images option. · Thumbnail images display on “Featured products, Best seller, Special product, New products"
· Stylish categories with Isotope custom tab on homepage - New Module Update! Throw the same old “Featured, Special, New Product, etc” module you have already used in your old theme. 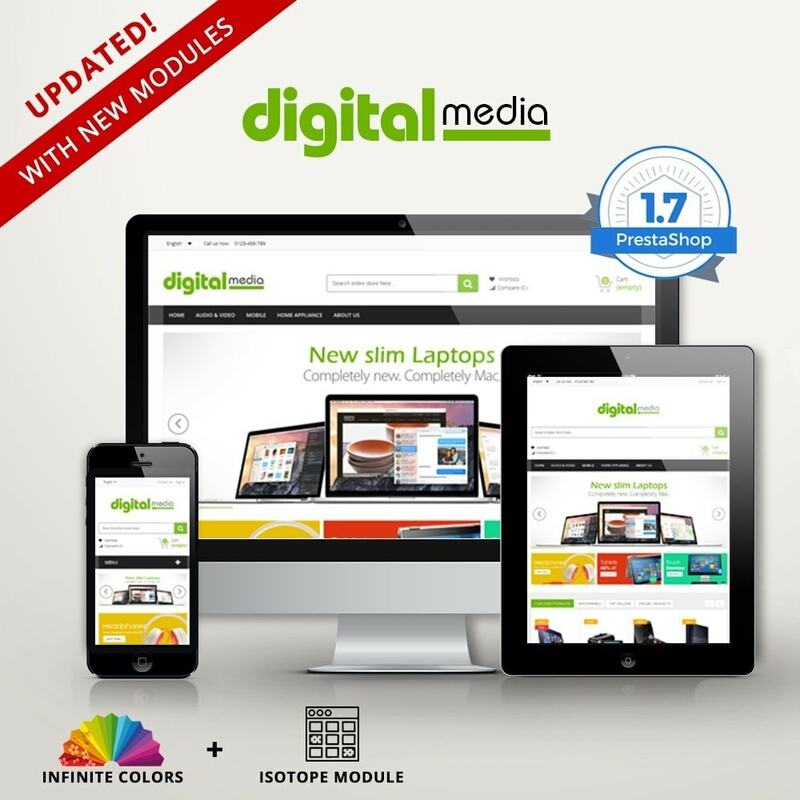 We came with the new innovative idea to replace the old modules, Suddenly we strike up with Stylish categories. 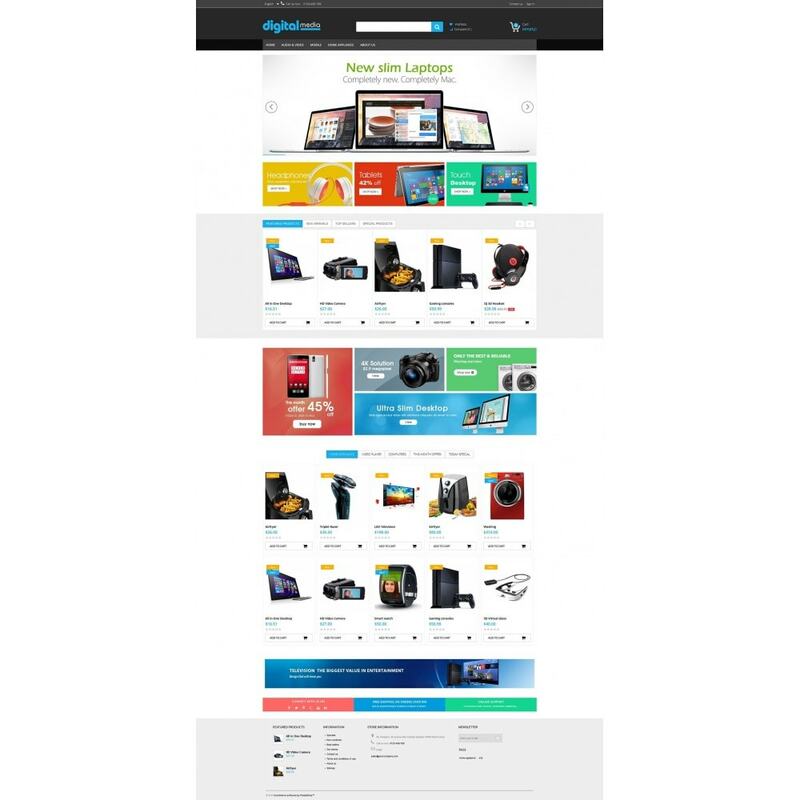 Stylish categories is a custom section module, You can create your own custom product sections and name them as you want, like “Popular, Top Sale, etc”. 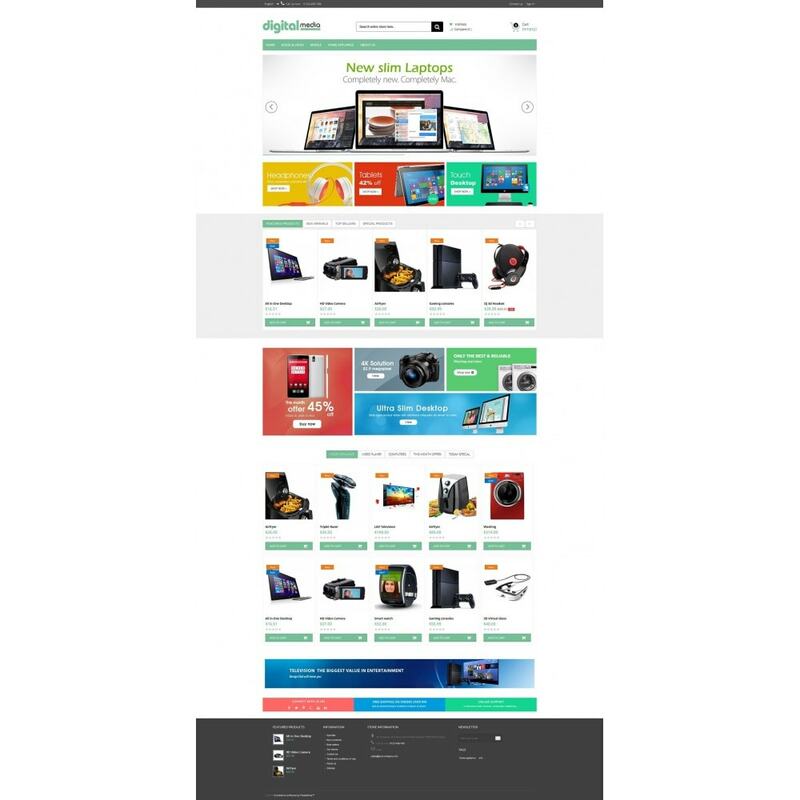 You can select any products within few steps on custom section. 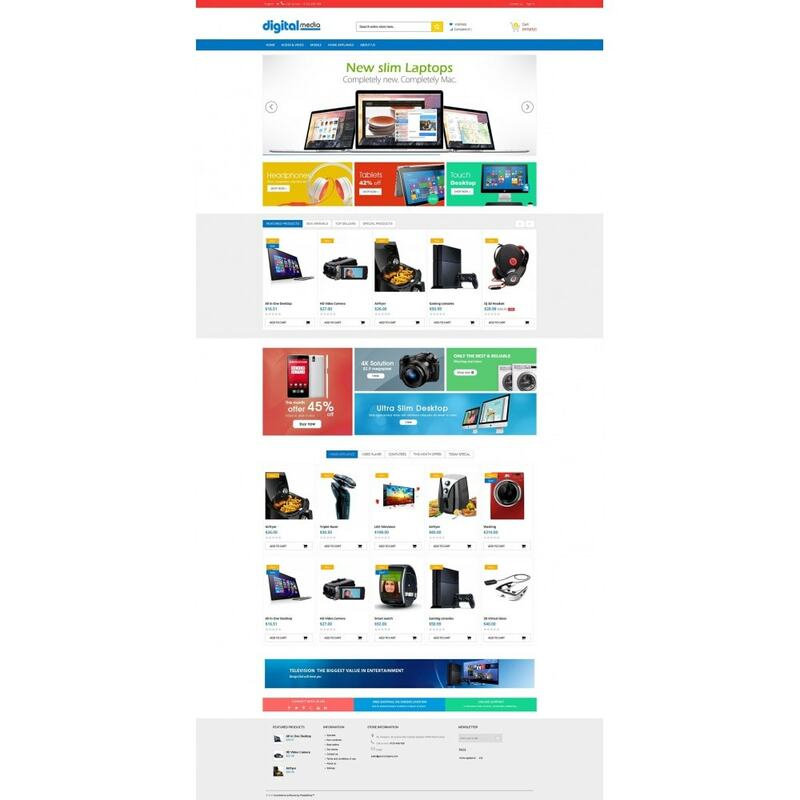 If you want you can still use the standard prestashop modules like “Featured, Special, New products, Default categories, etc”. It’s a new and better way to showcase your products. Find the image below to check out the Admin Panel for this module. Very simple via theme import from Prestashop administration. Installation Document Included with theme package.